Well, it’s a bit of a bridging episode this, as we get reintroduced to some old faces and we see more of the change in Rick (his lack of confidence, his hurt, his powerlessness, his disability, his anger). Carl has a few moments where we still glimpse the child who has somehow got this far amongst all this horror and death. The main returning character plays up to their strengths, and it is great to see them in action again, and it seems as if Rick is glad of the relief. There are a couple more who make an appearance…….but that would spoil it wouldnt it? Go read it. 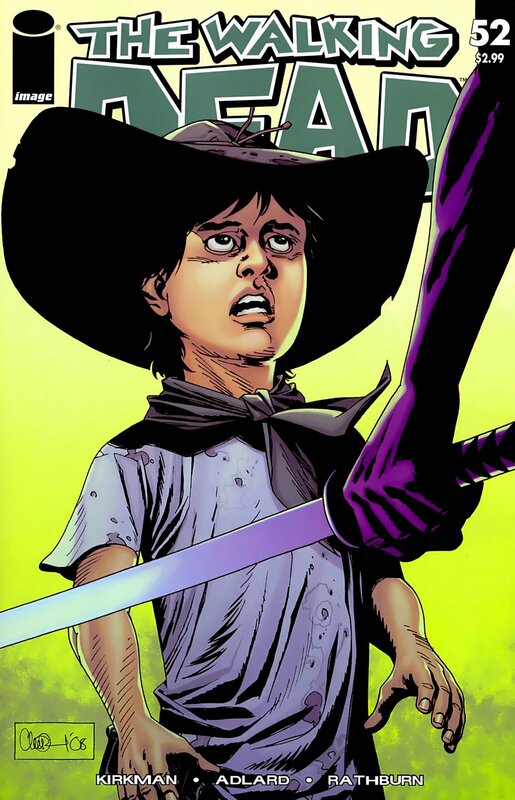 Not a lot happens, but at the same time the pieces are being put together for something much bigger than this current arc, which now seems to be coming to an end (I assume that this arc was all about Rick and Carl post-massacre). The fact that there are going to be more characters means we lose the intimacy and slower pacing of recent issues, but maybe what we will be getting in the near future is something more dynamic and pacy. I still love this title.